I Love You Messages for Fiancée: Don’t let engagement put you in the rut of complacency. Make sure you continue treating your fiancée like the princess that she is. 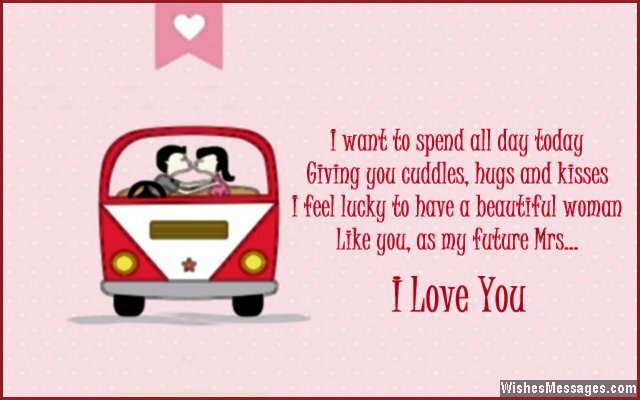 Surprise her with cute handwritten notes and tag her in sweet posts on Facebook. Flirt with her as if you’ve just met her. Hop over to Pinterest and share mushy stuff with her. Write a few romantic quotes and randomly send them to her as texts. Stop waiting for Valentine’s Day, birthdays and your anniversary – love is all about the innocent impromptu moments that go on to become beautiful memories. Make sure that the chemistry between the both of you continues to sizzle as the months and years go by. 2) When it comes to you, my heart can feel what my mind can’t put into words. I love you. 3) Ours is a true love because I love all your weird habits and you love mine. Ours is a true love because the most beautiful words spoken between us are when there is silence. Ours is a true love because we don’t love each other for who we can be – but for who we are. I love you. 4) All my life I have always done what my heart told me to. I wouldn’t have it any other way because it led me to you. I love you. 5) Do you know why I like to say that you are my life’s flower? Because I promise to water you with my love, nurture you with my kisses and give you hugs which will be warmer than sunshine. I love you. 8) I really don’t know what is ENOUGH when it comes to my love for you. But this is one confusion I am happy to live with. I love you tons. 9) I look forward to growing old with you so that one day when we are both weak and fragile, we can sit on our rocking chairs, look at each other and say – we lived a perfect and the most beautiful life. I love you. 10) No matter how much time we spend together, you will never understand what you mean to me. I love you. 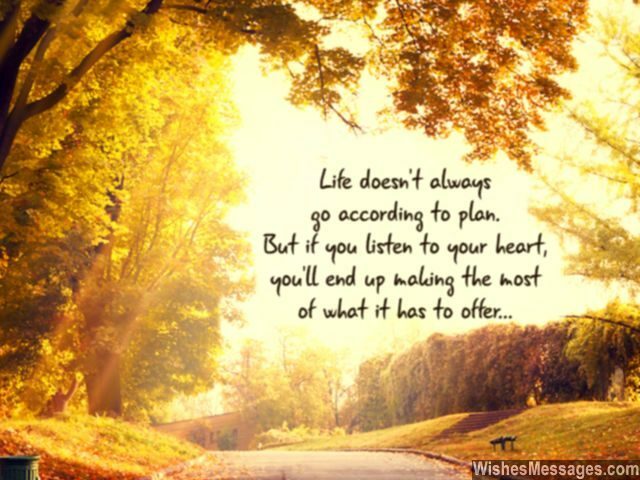 11) Life doesn’t always go according to plan, but if you listen to your heart, you will end up making the most of what life has to offer. 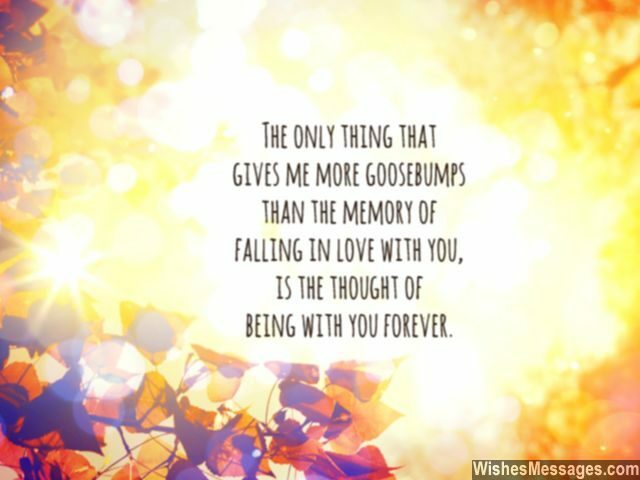 Just like how, I never planned on bumping in to you, but it turned out to be the best thing to have ever happened to me. I love you. 12) I am not a doctor but one thing I definitely know is that the only one-way street into your heart starts from mine. I love you. 14) I am a human being so I can’t make fake promises that I will never get angry. But I can make a promise that even when I am angry, I will care for you endlessly. I love you. 16) The best part of our love story – is that it is between you and me. I love you. 17) I don’t know if my mind will have answers to all your questions but I am sure that my heart will have the solutions to all your problems. I love you baby. 20) The shape of our engagement ring may be a circle but my love for you is a single dot – no edges, no shape, no beginning and no ending. 21) I smile, every time I look at you because I see all that I ever wanted. I love you. 22) There is not a lot I want in life. It is just a three letter word – YOU. I love you. 24) I may never be able to live up to be the husband as perfect as the wife you will be, but I promise you that I will keep trying until the day that I die. I love you. 25) I am not a King or a Prince but I promise to treat you like a Queen and a Princess. I love you. 26) Ours is… a love so unique, a love so beautiful. A love so rare, a love so wonderful. A love so pure, a love so precious. A love so hot, a love so sensuous. A love so intense, a love so endless. A love so eternal, a love so priceless. I love you. 27) As your fiancé I am going to make three small but sweet promises today – no matter how old we get I will never stop kissing you on the forehead, holding your hand and telling you how much I love you. 28) More the people I meet, more I realize that in you I’ve found my perfect match. I love you. 29) My dear fiancée… I love you because I have fun in doing even the most boring things, when we’re together. 31) Will You Marry Me are the most beautiful words I have ever uttered in my life. 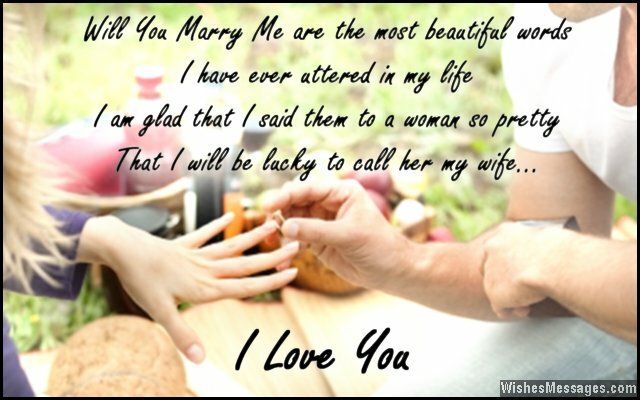 I am glad that I said them to a woman so pretty that I will be lucky to call her my wife. I love you. 32) The first time I saw you, my heart told me to make you my girlfriend. When our love bloomed, my heart told me to make you my fiancée. After we got engaged, my heart is telling you to make you my wife. But throughout this journey one thing remained constant – my heart’s opinion that you are the perfect woman in my life. I love you. 33) I am so looking forward to the most romantic moments of our married lives – when we look at each other and smile even when we have nothing to talk about. I love you. 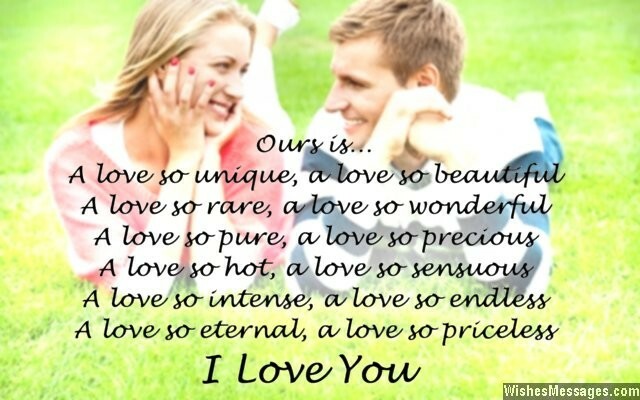 34) Everything in my life comes down to just three things – You, Our Love and Us. 35) I promise to be the best fiancé by – hugging you tight after a fight and kissing you on the forehead if you make a mistake. I love you. 36) I want to spend all day today giving you cuddles, hugs and kisses. I feel lucky to have a beautiful woman like you as my future Mrs. I love you. 37) The seamless realm of love is the only place where being lost is one of the best things to experience in life. 38) Your address has changed since the day I went down on one knee and gave you that ring. Now you no longer live in your apartment because your home is the soft spot right in the middle of my arms. I love you. 39) Our Love is a book in which Engagement is the romantic chapter which gives you a glimpse of the beautiful journey that lies ahead. I love you sweetheart. 40) As a couple, we may be mature, loving and understanding. But the chemistry of our innocent love is insane, crazy and mad. I love you and I hope this never changes.